Visionary B4 series ZCF 7x 35 traditional binocular. Fully-coated lenses and BAK4 prisms give good colour. The B4 has rubber eyecups and finish, central focussing, and an easy grip. A great value series, and the 7x 35mm binocular is substantially less bulky than the standard 50mm sizes, allowing easy targetting and a steady view. 2 year P & L warranty. Uses - Bird-watching, garden, cricket, walking & general. Visionary B4 series ZCF 8x 40 traditional binocular. Fully-coated lenses and BAK4 prisms give good colour. The B4 has rubber eyecups and finish, central focussing, and an easy grip. A great value series, and the 8x 40mm binocular is less bulky than the standard 50mm sizes, allowing easy targetting and a steady view. 2 year P & L warranty. Uses - Bird-watching, garden, walking & general. 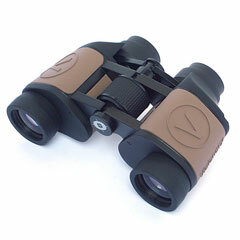 Visionary B4 series ZCF 10x 50 traditional binocular. Fully-coated lenses and BAK4 prisms give good colour. The B4 has rubber eyecups and finish, central focussing, and an easy grip. A great value series, and the 10x 50mm is powerful whilst remaining easy to use. 2 year P & L warranty. Uses - Bird-watching, aircraft, & general. 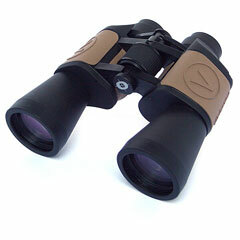 Visionary B4 series ZCF12x 50 traditional binocular. Fully-coated lenses and BAK4 prisms give good colour. The B4 has rubber eyecups and finish, central focussing, and an easy grip. A great value series, and the 12x 50mm is a powerful instrument. 2 year P & L warranty. Uses - Distant wildlife, coastal observation, surveying, & aircraft. Visionary B4 series ZCF 16x 50 traditional binocular. Fully-coated lenses and BAK4 prisms give good colour. The B4 has rubber eyecups and finish, central focussing, and an easy grip. A great value series, and the 16x 50mm unusually powerful for a 50mm binocular. 2 year P & L warranty. Uses - Specialised applications requiring high power. Note: Needs a steady grip or use on a tripod, not recommended for general or garden use. 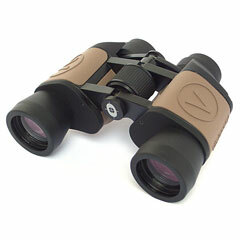 Visionary B4 series ZCF 20x 50 traditional binocular. Fully-coated lenses and BAK4 prisms give good colour. The B4 has rubber eyecups and finish, central focussing, and an easy grip. A great value series, and the 20x 50mm unusually powerful for a 50mm binocular. 2 year P & L warranty. Uses - Specialised applications requiring high power. Note: Needs a steady grip or use on a tripod, not recommended for general or garden use. 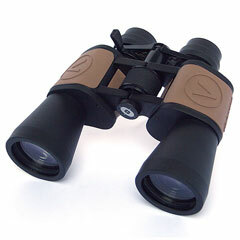 Visionary B4 series ZCF 8-20x 50 traditional zoom binocular. Fully-coated lenses and BAK4 prisms give good colour. The B4 has rubber eyecups and finish, central focussing, and an easy grip. A great value series, and the 8-20x 50mm zoom binocular is very versatile, allowing target finding at low power before zooming-in.